We love parties. We can find any reason for celebration: milestone birthdays, holiday parties, celebratory dinners, blow out bashes. 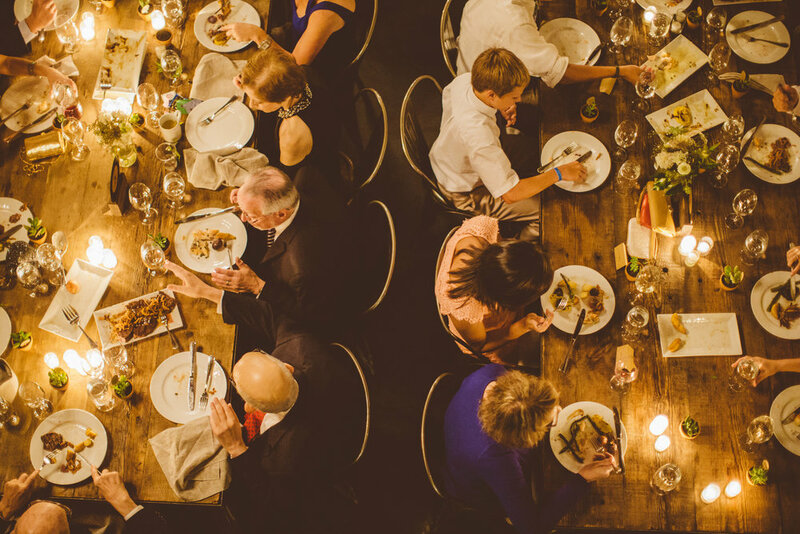 We like to think we're specialists at hosting events with exceptional hospitality and warmth. 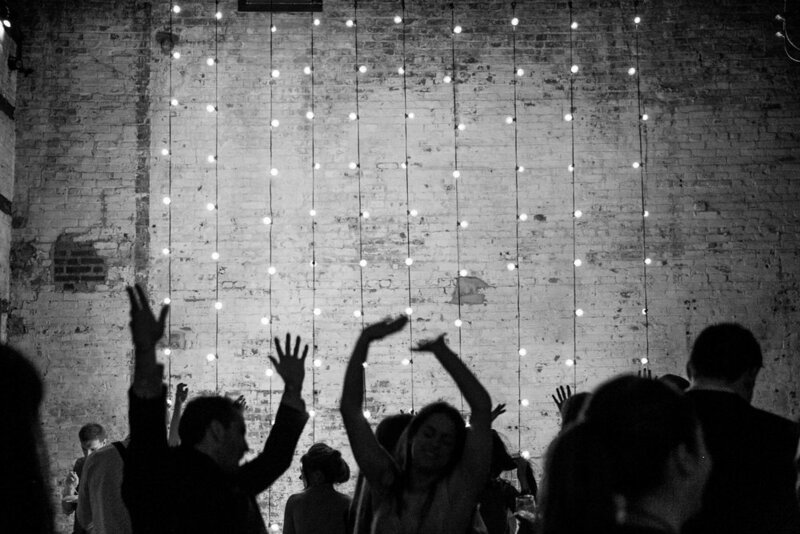 The Green Building is an industrial chic warehouse event space in the Gowanus neighborhood of Brooklyn, New York. Formerly a brass foundry, the building has been renovated into an elegant venue with more than 6,000 square feet combined indoor-outdoor space. When it comes to time to celebrate, we want to party with you. Please read our FAQs below for more information on our venue and policies. We can accommodate up to 250 guests for a cocktail party or 160 for a sit-down dinner with room for a dance floor. Our rental rates vary based on the time of week and year. Please send us an email detailing the nature of your event, estimated attendance, and timing, and we’ll get back to you as soon as possible. You may also call our office, Mon – Thurs 10 AM – 6 PM and Friday 10 AM – 3 PM, at 718.522.3363. A 50% deposit of the rental fee is due at the time of booking. In addition, we require a $500 security deposit, which is refunded 10-15 business days after the event, provided there are no damages. The remaining balance is due 30 days before the event. The Green Building accepts check, money order, and all major credit cards. If you cancel up to 1 year prior to your scheduled event, you will receive your rental fee deposit back minus a $3,000.00 penalty fee. Within 1 year of the event you forfeit your rental fee deposit. If you decide to move the date of the wedding, you may do so, pending availability. We charge a $500 booking fee for date change. We pride ourselves on being flexible and accommodating; you may use the vendors of your choice. However, rental items (i.e furniture, glassware, flatware, etc.) must be sourced through either The Green Building or Broadway Party Rentals. Please see our list of preferred vendors who we trust to provide excellent service. Yes. A manager will be on-site during your event to answer any questions, provide general assistance and oversee the building and our staff, but he/she will not coordinate your event. 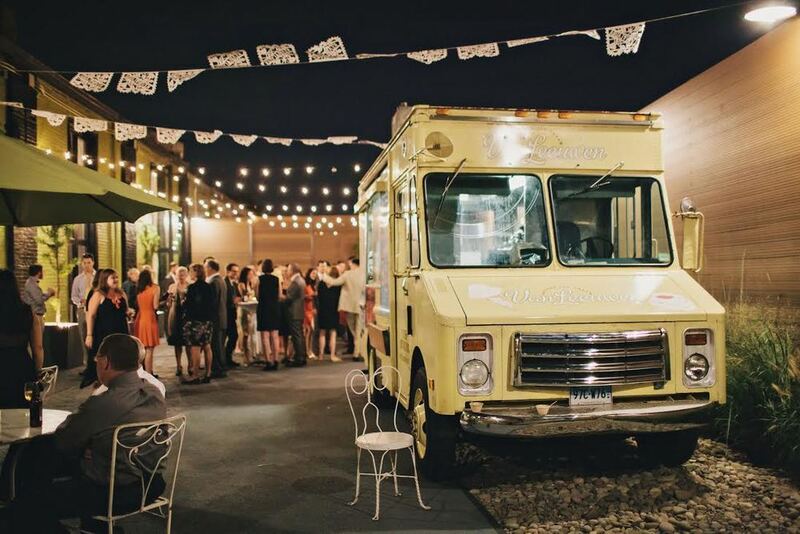 Your caterer may be able to provide these services. The Green Building provides additional day of coordination services and would be happy to discuss the options to best suit your needs! • All centerpieces, candles, additional décor and alcohol must be removed from tables, neatly packed away, and consolidated in the kitchen or foyer. You may store personal belongings overnight, but must arrange for pick-up no later than 11 AM the following morning. •Linens must be bundled and tied, or bagged and consolidated with outside rentals. • Tables and chairs must be folded and stacked against one wall in the main space. Green Building furniture rentals must be separated from outside rentals when applicable. • Glasses, dishes, food, drinks and personal items removed from lounge area. • All glasses, plates, silver, etc. back in their original crates, consolidated in the kitchen. • Food + drink removed from kitchen. • Bars emptied of ice, completely drained, wiped down, and dried. Remove all products, candles, and coasters. • Break down all boxes, bag all trash and remove from kitchen through rear emergency exit. Green Building staff will provide large format receptacle. The Green Building includes a 500 sq. ft kitchen featuring ample counter space, (2) low-boy refrigerators, (1) 4’ x 2’ freezer, sink, and trash cans; eight outlets on separate 20-amp breakers and one outlet on a 60-amp breaker. There is a separate service entrance into the kitchen from Union Street as well as an outdoor prep area for catering grills, smokers and deep frying. Caterers may opt to bring in additional cooking equipment. Please check with your venue coordinator for any restrictions. Street parking is available. Should your guests need directions or a car service at the end of the evening, our front-end manager will happily assist. Local valet companies are also available for hire. Please inquire for more information. That depends on the type of event you’re hosting, but in most cases, you and your vendors gain access to The Green Building at 9 AM on the day of your event. Yes, use of our 2400 sq. ft. courtyard is included in your rental. What's the deal with the bathroom situation? Four (4) individual, unisex bathrooms, one of which is wheelchair-accessible. The photos on the site are so awesome! We are thankful for the photographers who provide us with stunning images of our space. Please refer to our preferred vendor list to see a list of our favorite photographers.